Xing Yi Quan is one of the deadly old hand Kung Fu styles that has been refined with the vicious survival mindset of the Kun Tao masters. There is not much in the way of frills in the art but what it lacks in window dressing it more than makes up for in practicality and internal power. In Indonesia this lethal efficiency is admired as death in the jungle can come awfully suddenly quick. 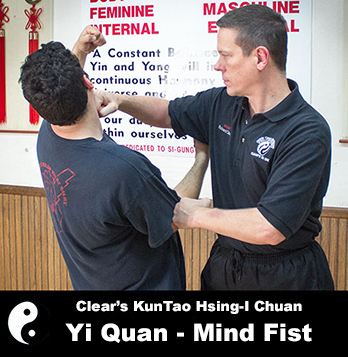 Yiquan is known for it’s development of internal skill and power with an emphasis on building and using the mind intent (yi). There are a bunch of ways Yiquan builds and uses power. However, another key element of training is the refinement of that skill and learning to use less and less effort. Sigung Clear strips away the fluff & filler to teach you how Xing Yi really fights and why it is so powerful. 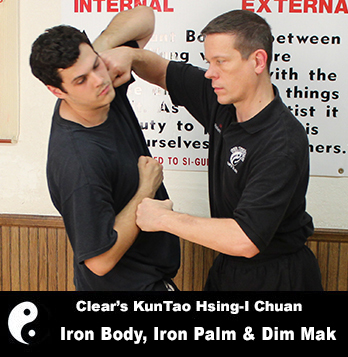 This course includes various types of Iron Palm and internal power transfer techniques that make Xing Yi known for its devastating power. 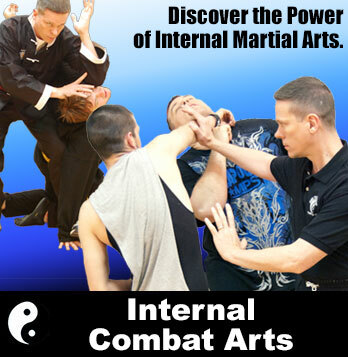 Then, he teaches you how Xing Yi approaches Iron Body to deal with others who display the same startling force.